The last thing on your mind during a big move is the food in your pantry. 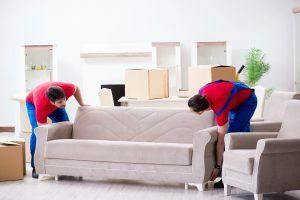 You’re most likely worried about scheduling the moving truck, packing your clothes, and shifting furniture towards the door for easier access. There are a whole lot of tasks on your plate right now. It’s time to put something else on your plate, though. All of that food isn’t going anywhere. You can’t leave it behind! Packing and moving all the food in your kitchen is tough work. You need to figure out how to properly pack packaged food without anything breaking, and how to pack appliances for the new house. You must also consider the refrigerator and freezer. Depending on the distance, you may be unable to pack the contents of your fridge successfully. Take Inventory – A month before your big move, take a complete inventory of everything in the pantry, refrigerator, and freezer. Indicate which items you can bring and what cannot be packed. Meal Planning – If you have a lot, start planning meals with what you have. Focus on the perishables and frozen food first. Grocery Shopping – When grocery shopping before the big day, only buy the foods you intend to use immediately. Do not buy anything in bulk and avoid impulse purchases. Dry Goods – If you are working with a moving company, they may have policies in place regarding food items. Some dry goods, such as seasonings and spices, may be fine. For everything else, you’ll want to ask your moving company about their policies. Dining Out – It’s important to be aware of what you’re eating. During a move, you’ll likely be eating out more often. Some days, you’ll just be too tired to cook. Try to plan ahead and use what you have before resorting to take-out. Make your upcoming move a breeze with Green Van Lines. Schedule top-rated service by calling 888-770-4733!